How Much Water Should You and Your Kids Drink Each Day? 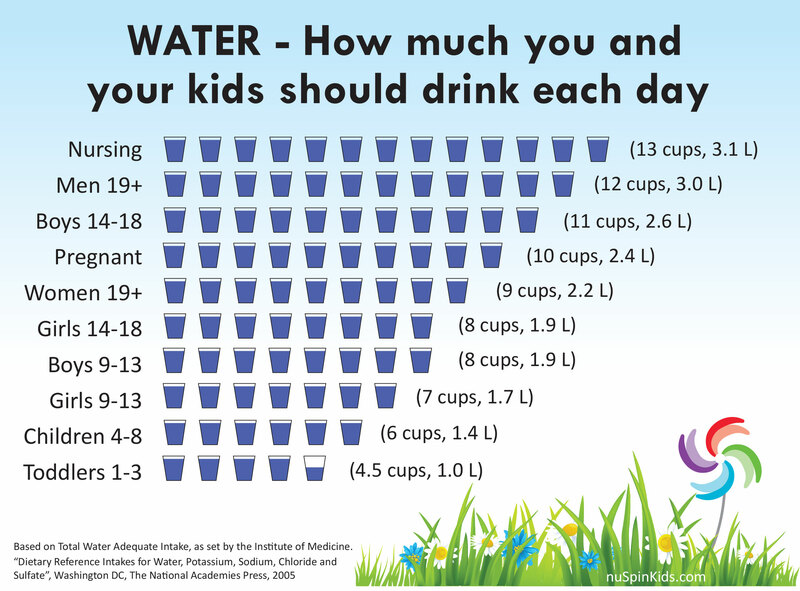 Home / Food / How Much Water Should You and Your Kids Drink Each Day? Hydration Guidelines for Toddlers, Teens, Adults, and Pregnant or Nursing Moms.